As the leading commercial and residential drywall and taping contractor in the region, we maintain a top quality standards while also keeping a tight schedule. We have strong believers that innovative systems and effective processes will put us a notch above to competition. We do anything and everything that is drywall related. But many think that only includes new buildings, but we have done many different types of work ! Our main focus is installing drywall, taping and finishing drywall, and texturing ceilings. We do all different types of drywall work, we finish many types of drywall, and we do all types of texturing work, new or old, renos, fire or water damage, what ever you need done that’s drywall related, we can do it ! Starting at the estimating stage right through schedruling, construction and our service work, our top of the line system enables CDT to keep track of a detailed real time information for all the jobs we do, from your small reno to the big commercial jobs. Want to know where the progress is on any of your jobs ? We can tell you right away where the work stands at this time, and when the jobs is supposed to be completed. For any projects success, a dedicated leader has to be in charge. CDT will deploy a supervisor dedicated to the job, he will be informed of every aspect of the job at all times. We know that for most our jobs to run smoothly, the entire team starting for the ground up, as the be actively engaged with the customer, ensuring the project is complete to specifications. Small or big, we have a CDT member that’s ready to ensure your wants and needs are fulfilled. Having the proper training and tools, really makes it easy for us to do the job right. We believe this and take this attitude with us to work, everyday. We only use the highest quality tools and materials to ensure that every job site is well prepared and ready to get the job done right, the first time ! Keeping our customers happy with quality work is an integral part of our operation. We thoroughly check every job from top to bottom before we ever sign off, doing a light check on all the walls looking for any imperfections. Any potential problems that are seen will be pointed out or repaired by our team. We keep in contact with customer at all times to ensure everyone is happy throughout the entire operation. Every single job needs to meet the CDT Standard ! Over the years, we’ve realize that not ever job will go as planned, and sometimes mistakes are left behind. We guarantee our work to be of top quality for one year after completion, we’re only a quick phone call away and one of our members will be at your site as soon as possible. Help is just around the corner. Whether there a crack in the wall, a defect in the ceiling or a hole to patch, we have the tools and people to come to the rescue ! At this current time, this team is a one man army. I have many contractors I work with all the time, and we’re able together to accomplish any projects. But currently I do not have any other team members. 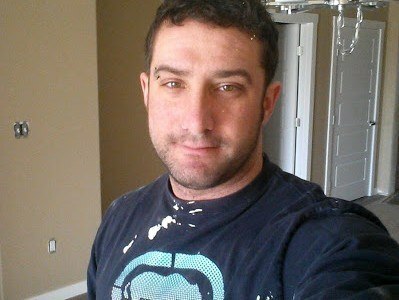 I have 15 years experience and I’ve done every type of drywall work related you can think of. I maybe be 1, but we together are an army !